Our luxury soap brand Gentle Annie’s is handmade at Lavender & Thyme Cottage from high quality extra virgin olive oil from the Dunford Olive Grove at Pisa, Central Otago. Once a year our family join the Dunbar’s for a most enjoyable olive harvest. The olives are picked by hand using a rake and then pressed once to release the olive oil- this oil has the most gorgeous green hue, with a fresh fruity fragrance, full of health promoting antioxidants with moisturising benefits. We accompany this beautiful olive oil with a small amount of natural unrefined beeswax produced by busy bees on the thyme-encrusted hills of Cairnmuir, also in Central Otago. The beeswax has antibacterial properties and the most divine sweet honey aroma. Some of our soap varieties also contain coconut oil which is wonderful at retaining moisture to our skin. A tribute to our war veterans, may peace prosper forever! –Fresh scented ‘Anzac’ olive oil soap with tea tree, clary sage, poppy seeds and rosemary for remembrance. In WW2 tea tree was issued to soldiers as part of their kit to treat infection, tea tree is also a powerful antioxidant rich in vitamin C and E. Rosemary is antibacterial and well known as an insect repellent. Both clary sage and rosemary help to balance intense emotions. The poppy seeds provide a gentle exfoliation to the skin. It’s time to reminisce of the olde bakery, with the aroma of freshly baked spice buns; this ‘Bakers’ olive oil soap makes you want to eat it! With the added healing and restorative benefits of sweet orange, cinnamon and nutmeg. This gorgeous olive oil soap is marbled with turmeric which has been shown to help topically with bruising and eczema, even out skin tone while gently exfoliating skin silky soft. This versatile ‘Barbers’ olive oil soap can be used as a hair shampoo or for shaving with the fresh minty scent of rosemary, eucalyptus and peppermint. Rosemary is the most highly regarded herb for hair, proven to promote stronger healthier hair and to control dandruff. Do you love your coffee? The aroma of coffee can invigorate you and reset your sense of smell with notes of fruit, earth, spice, vanilla, honey, nutmeg and more. The ‘Barista’ soap with nutmeg is infused with freshly ground coffee; this olive oil soap gently exfoliates and improves circulation and is fantastic at the removal of food odours on hands. This soap is just like its name- sweet and innocent. The soap is made in a Castile style with added fresh goats milk and oatmeal which is left unscented- the pure basics for the most sensitive skins. The high content of extra virgin olive oil is very moisturising while the milk and oats combination cleanses and softens the skin. To become a chocolatier one must learn how to make and work with chocolate on different levels to create handcrafted pieces of art that must taste sensational. Well, in the case of our ‘Chocolatier’ olive oil soap, feel pleasurable! The cocoa, vanilla and nutmeg delivers a bounty of antioxidants and phytonutrients to the skin while the milk cleanses and softens the skin. Enjoy it all you want and you wont gain an ounce. For your beloved pooch, this ‘Dog’ shampoo bar is made from the same gentle, wholesome ingredients as all our other soaps, freshly scented like the hills in Central Otago with thyme, lavender and tea tree. The combined oils are antimicrobial and assist as a flea repellent. Spring time- bright cheerful daffodils and freesias on display outside the village florist shop. The ‘Florist’ olive oil soap delivers the revitalising scent of spring with the scents of clary sage, lemongrass and rose geranium essential oils. Our passion for gardening inspired the development of the ‘Gardeners’ olive oil soap, which contains lavender, rosemary and clary sage essential oils- all known for their antiseptic and healing properties. This soap also contains ground pumice to gently exfoliate the skin and remove ground-in dirt. Even those who have never touched a trowel adore using our ‘Gardeners’ olive oil rich soap with its clean fresh scent. Central Otago was home to many chinese goldminers in the 19th century seeking their riches. These men worked hard, conditions were harsh and not all dreams were fulfilled. To honour our chinese history the ‘Goldminer’ olive oil soap is infused with green tea, refreshing aromas of sweet orange and lemongrass essential oil and gold shimmers of turmeric. Green tea is very toning to the skin, helping to reduce redness. The essential oils are very antiseptic helping to heal the skin while the citrus scent improves the mood. Turmeric has been shown to help topically with bruising, eczema, even out skin tone while gently exfoliating skin leaving soft and smooth. Herbs provide a natural reservoir of health promoting phytonutrients and antioxidants. The ‘Herbalist’ olive soap with the addition of green clay is scented with rosemary, lavender and softened with rose-like palmarosa essential oils to make the most wonderful herbal scent. The natural olive green clay makes this soap especially beneficial to oily skin. Minerals in the clay help to rebalance oil production. Olive green clay strengthens all skin types and can aid in the repair of scars. This olive green clay is the strongest of all clays for detoxification, drawing impurities out of the skin and to tighten the pores. The aroma of the Garden of Eden- lavender and lemongrass provide this olive oil soap with a hint of citrus and a bouquet of flowers, both men and women love this soap. Lavender improves circulation and is great for any stressors. Lemongrass like other citrus scents help boost happy thoughts. Both essential oils are antimicrobial so are good for healing. Old perfumery houses blend various absolutes of florals and spice to create wonderful perfumes. In keeping with this tradition we have combined the rosy scented essential oils of rose geranium and palmarosa along with sweet orange to create our ‘Perfumer’ olive oil soap. This soap can brighten the spirit with its heady fragrance of old fashioned roses- very feminine. The ‘Physician’ olive oil soap is healing and restorative for hardworking hands with the botanical goodness of lavender, peppermint, rosemary and thyme essential oils. This soap will improve cracked or chaffed skin. Rosemary and Thyme are natural pain relievers with antiseptic properties, plus rosemary is known to increase circulation. Lavender is calming and anti-inflammatory plus it helps shorten the healing process. Peppermint is refreshing and cooling, and should relieve soreness. This soap has a wonderful fresh scent. The ‘Podiatrist’ olive oil soap specializes in the care of your feet with eucalyptus, peppermint and tea tree- why not have a foot spa, pamper your toes, massage your feet. All the essential oils are antibacterial, improve circulation while the peppermint provides a refreshing tingling effect. Tea tree is recognized as an active natural agent against athletes foot and fungal nails. Looking for a simple yet moisturizing soap with a good lather? – our unscented ‘Purist’ soap contains extra virgin olive oil, coconut oil and a small amount of beeswax. This soap is uncomplicated just like the old days when everyone bought their soap unwrapped at the village grocer’s. Perfect for both the chemically sensitive and chemically conscious, like all our other soaps this soap has everything you need and nothing you don’t. Great for people with sensitive skin. Central Otago produces the finest ‘Pinot Noir’ wine with flavours and aromas of rose, fruit, black cherry, berry and currant. The ‘Vintners’ soap encapsulates these aromas with essential oils of rose geranium and the sweet spicy scent of clovebud. Both men and women adore this soap. I was recently in central Otago and purchased a bar of your gold miners soap at a shop called Mrs Robinson. I’m loving the soap. I live in Auckland, do you have any retail shops in Auckland that stock a range of the soaps? I’d be keen to purchase more. 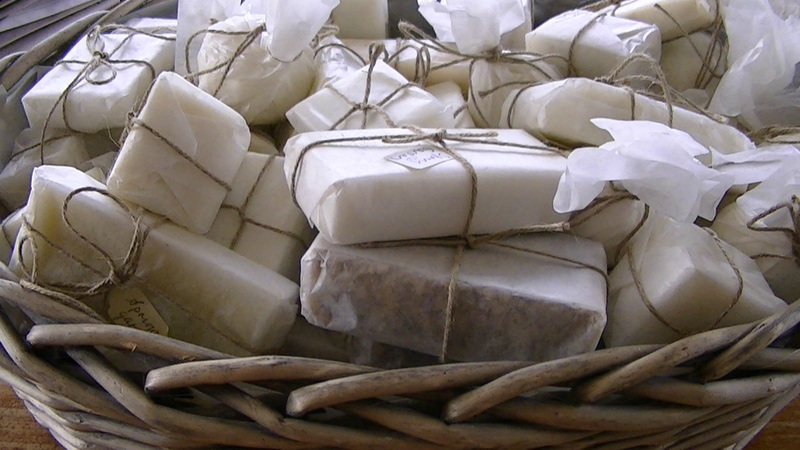 I am so pleased you love our soap, its made from wonderful ingredients. Mrs Robinson’s is a very cool shop to find gorgeous treasures in Central Otago, you would have enjoyed your shop. I would like to sell my soap in a similiar shop in Auckland’s Devonport or Ponsonby, however not quite yet. 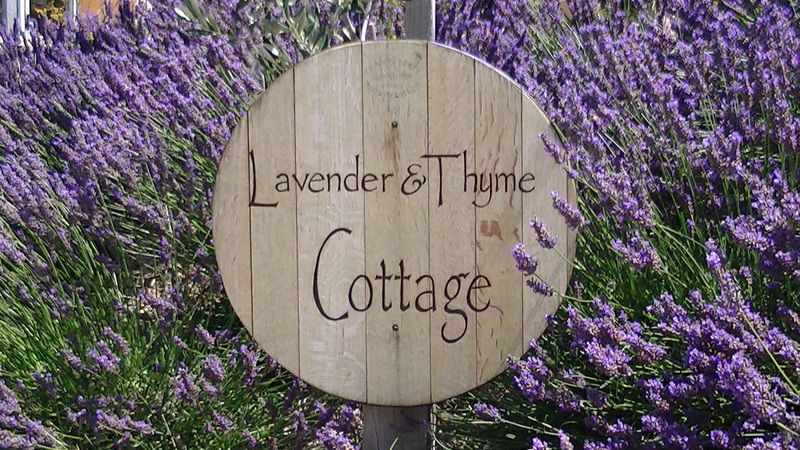 In the meantime you are welcome to order soap directly through my e-mail address of lavenderandthyme@iconz.co.nz There are many soap varieties to choose from, just refer to this website “traditional soap making at the cottage”. Thank you again for your wonderful feedback, Rose.